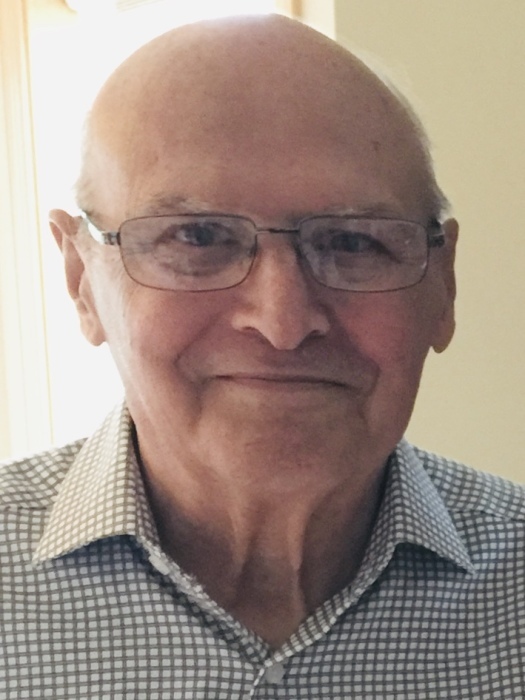 Sherman Clyde Woodward, 76, of Minnesota City, passed away on Saturday, January 26th, 2019, surrounded by family after a three-year battle with cancer. Sherman was born in Winona County to Sherman and Doris (Strelow) Woodward on January 26, 1943. He graduated from Winona Senior High in 1960. He married Carol Krage on December 8, 1962, at St. Martin's Lutheran Church in Winona. He served in the Air Force from 1960-63, worked at Cytec / Fiberite for 37 years, and was a former mayor of Minnesota City. Sherman enjoyed hunting, fishing, camping, and talking to people on his ham radio. He enjoyed his coffee club friends at McDonald's, and spending time with his family. One of his greatest joys was time spent with his grandchildren, and more recently, with his great-grandchildren. He loved to build things, and he could fix almost anything. He built the family house in Minnesota City, and, with Carol, completely restored the farm house near Ridgeway, where he especially enjoyed hosting family and friends for the Fourth of July (his barbecued chicken was loved). Sherman is survived by his wife, Carol; three children, Sherri (Rick) Bollin of Plymouth, Jim Woodward of Minneapolis, and Lisa (Scott) Ledebuhr of Rushford; five grandchildren, Michael (Rachel) Bollin of Maple Grove, Megan (Travis) Gohman of Maple Grove, Alyssa Woodward of Elmhurst, IL, Hannah Ledebuhr of Rushford, and Mitchell Ledebuhr of Rushford; two great-grandchildren, Aubrey Bollin and Avery Gohman; siblings Gerald (Kathy) Woodward, Judi Woodward, and Lynn (Tim) Rockwell; and several nieces and nephews. He was preceded in death by his parents. Funeral services will be held at 11 a.m. on Tuesday, January 29, 2019 at Central Lutheran Church in Winona. Placement will be at Bush Cemetery, Ridgeway. Visitation will be on Monday, January 28 from 5-7 p.m. at Fawcett Junker Funeral Home, Winona, and one hour prior to the service at church. Pallbearers are grandsons Michael Bollin and Mitchell Ledebuhr, grandson-in-law Travis Gohman, brother-in-law Tim Rockwell, nephew Matthew Rockwell, and close friend Hollis Donehower.